British musician Greg Lake died of cancer earlier this week at age 69. 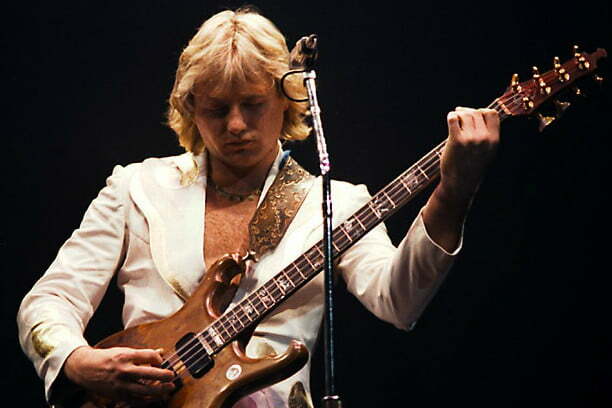 He was most famous for being the “Lake” of the famous progressive-rock trio Emerson, Lake & Palmer. He co-founded that trio as well as King Crimson, and had a stint in the 1980s supergroup Asia. He joins an unfortunately long list of musicians who have passed away this year, including ELP band mate Keith Emerson, who passed away in March. “It is with great sadness that I must now say goodbye to my friend and fellow band-mate, Greg Lake. His music can now live forever in the hearts of all who loved him,” ELP co-founder and drummer Carl Palmer noted on his website. Lake says that the song was pretty much a solo song, and that keyboardist Emerson couldn’t quite find a place to add any of his signature flourishes. When the song was being recorded, it was just a “plaintive little folk song,” so Emerson went down to the pub. When he came back, he heard something different, a song full of huge harmonies and multi-track guitars. The Emerson touch was then forthcoming (you can hear the keyboards kick in at the 3:22 mark in the video). Emerson then started playing around with the “portamento,” or how long it takes to slide up from one note to the next. That’s what you hear on the record, and Lake had the foresight to hit the “record” button, which is a good habit for all musicians, since you never know when genius/inspiration will strike. We almost never got the chance to hear that spacey solo, either. Back then, you didn’t have the technological ability to slide tracks around on a Pro Tools-enabled computer. So Emerson decided he wanted to, as they say in the U.K., “have another go.” But they’d run out of room — there were no more tracks to record onto, and if the keyboard virtuoso wanted another take, what you hear on the final track would have been erased. And once it was gone, that was that. As it is that time of the year, we shouldn’t forget to add this Greg Lake solo gem from 1975, I Believe In Father Christmas.